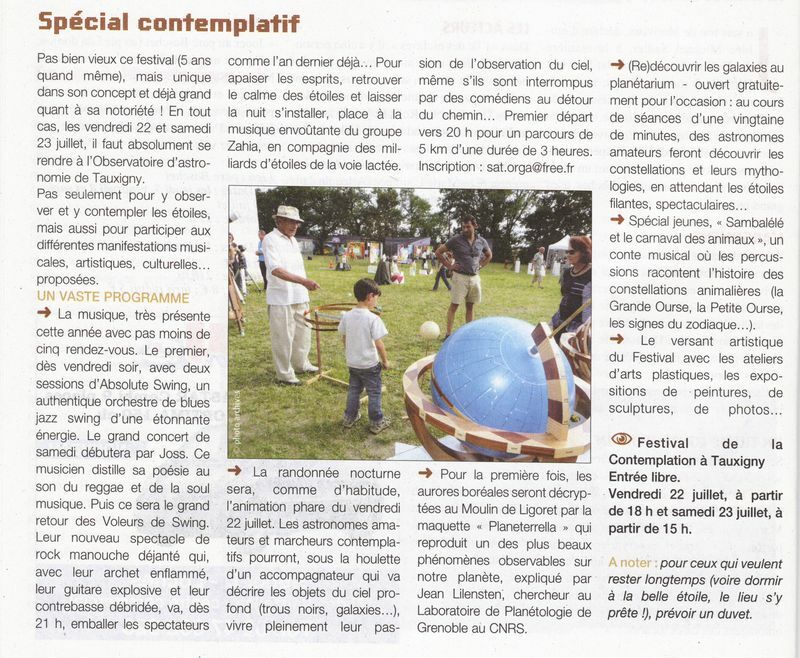 Accueil > en > Awards / Medias > Medias > Newspaper "La Nouvelle République", about "Festival of Contemplation"
Newspaper "La Nouvelle République", about "Festival of Contemplation"
Since 2006, the inhabitants of Tauxigny, a small city in the Touraine region organize the "Festival of Contemplation" (http://www.festivaldelacontemplation.fr/). 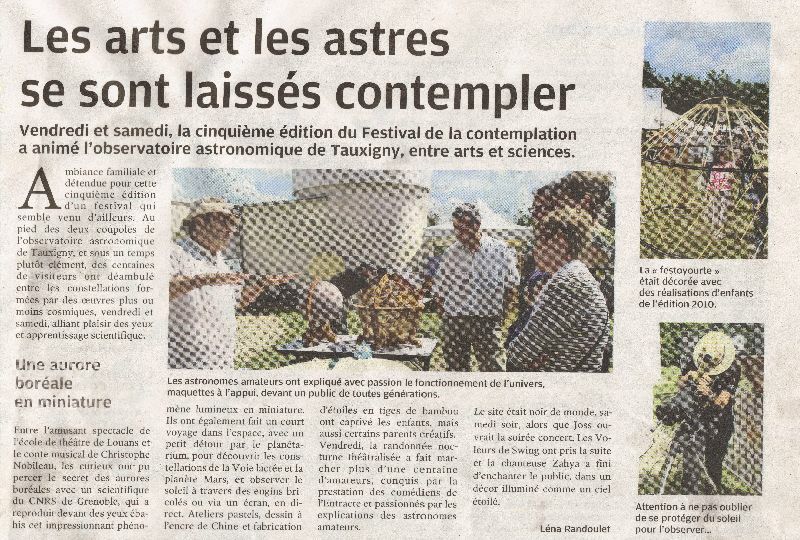 During one day and a half, arts and astronomy are offered to the public. 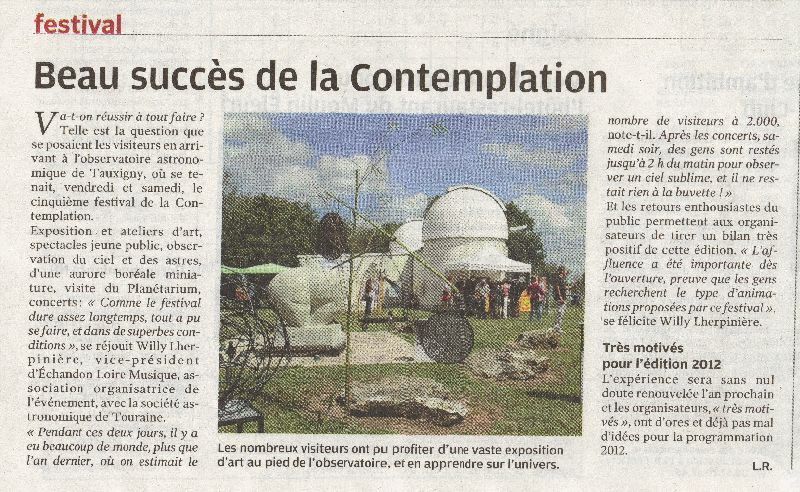 Concerts, painting and sculpture exhibits, observation of the Sun, of the night sky, planetarium... Un gigantic moment, happy and friendly. In 2011 and 2012, the organizers invited the Planeterrella for a non-stop demonstration show.